Hello everyone and welcome back to my blog! I’m a little late this week with Fridays tutorial. Thanks to my daughter being in public school, she brings all kinds of germs home. Guess who ends up ten times sicker than she does? That would be me, and I hate it lol. 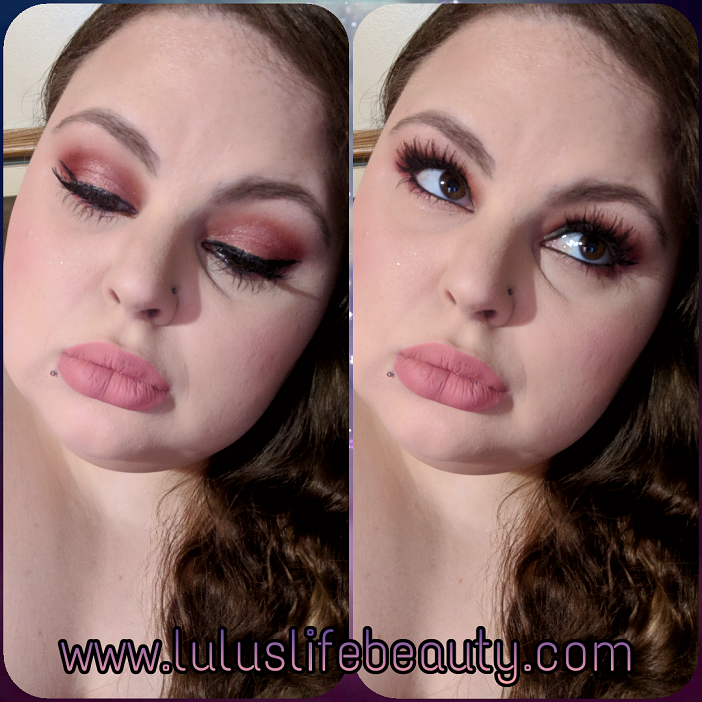 I felt like doing a Halo eye, but I also felt like doing something really warmed tones and sultry. I haven’t done a winged liner in a while so I threw that in too for the fun of it. I’m not the best at winged liner but I’m getting better, they can really pull a look together. False lashes were a must for this look with how bold the eye shadow was. Let’s get right into the tutorial! 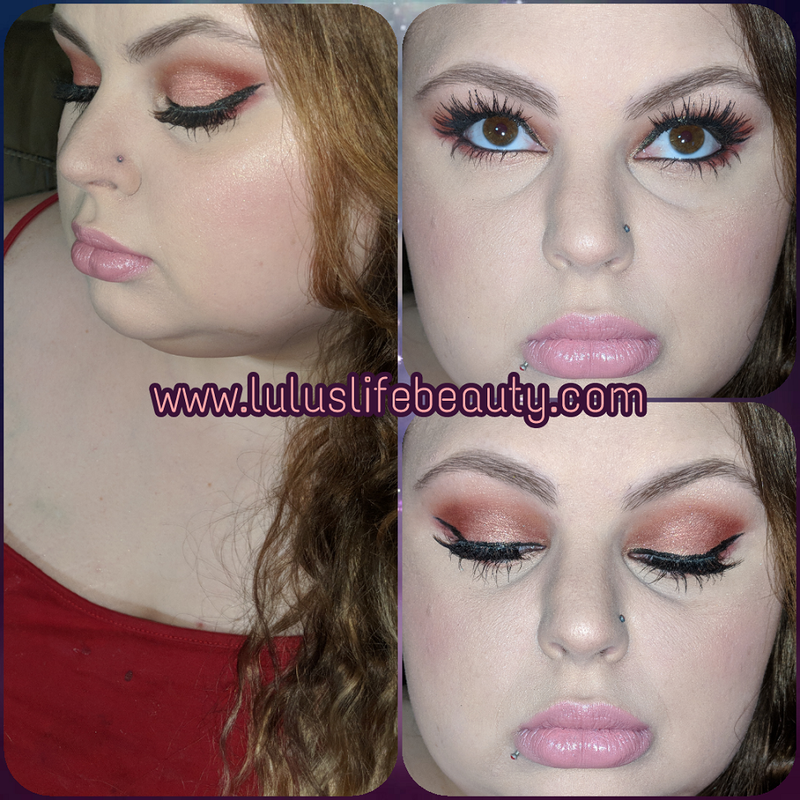 I started out this tutorial like I always do by priming and setting my lids with shade 1. This is my number one tip for a soft even blend. I have thin eyelids and if I don’t do this, my Eyeshadow won’t blend smoothly and it’ll look like it’s skidded. Today’s eyeshadow palette is the Makeup Revolution Reloaded Iconic Newtrals 2. It’s a very long name lol, but the shadows aren’t names. That’s a big pet peeve of mine. But I’ll include a picture of course with everything numbered, dedicated to my craft y’all lol. 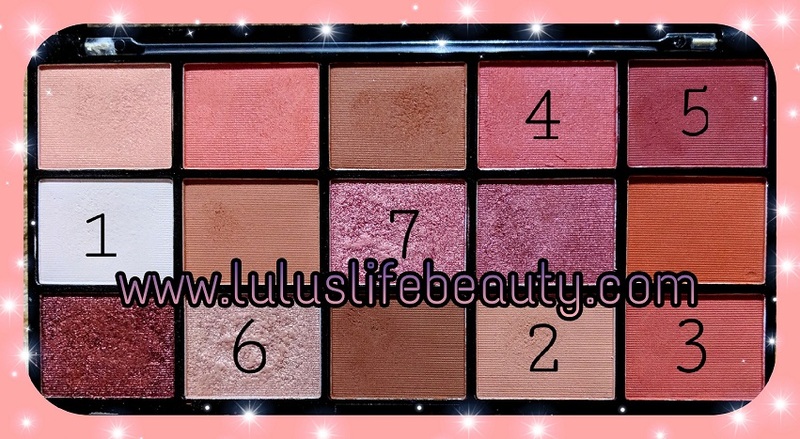 To build up the color all over my lid and above my crease I dipped into shades 2, 3 and 4 and just blended like crazy. I then went in with shade 5 and deepened the inner and outer corners. On the center of my lid I took my concealer and patted it out and blended shades 6 and 7 together over it softening the edges. That’s all this look consisted of, a lot of Shadow’s in different warm tones and a lot of blending. I took shadows 5, 6 and 7 and ran them under my lash line, darker on the outer corner, lightest on the inner corner. Thank you so much for checking out this tutorial. Let me know how you liked it down below in the comments and send me any suggestions of future looks you’d like me to do! I love this look so much, I’m just sad I have no where to go to flaunt this look. As always down below I will have a full product list of everything I used in the makeup look including tools. I’ll also have all of my social media links down below so you can follow me. I’m trying to break a thousand followers on Instagram right now. Who wants to help, lol.